With its sturdy metal shade with slotted vents, this utilitarian-style wall light has a myriad of uses, although it makes a particularly good bedside light or study task light. With hints of mid-century design, it manages to be both timeless and bang on trend. The adjustable shade is made of steel that has been powder-coated a warm, smokey fireside grey on the outside and white on the inside. It has a matching powder-coated steel wall plate and a stainless steel arm. 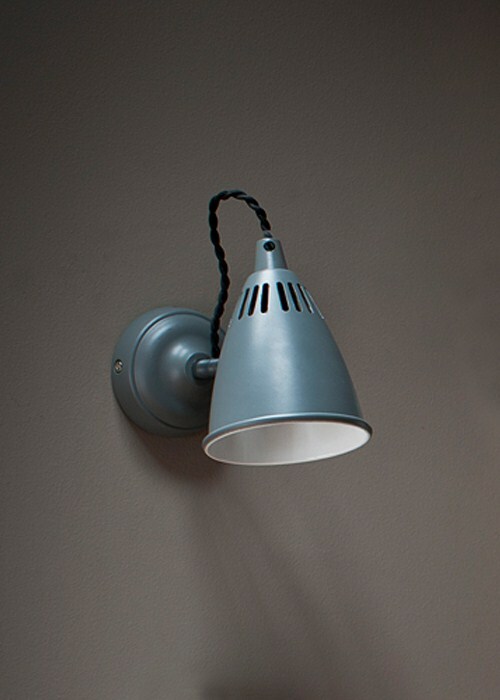 The Cavendish Wall Light in Charcoal is robust, durable and easy to install. To find out more about our colours please visit our colour guide.